Posted 1:43 pm by ForrestPerkins & filed under Press Releases. Dallas, TX, (July 19, 2018) – Luxury interior design firm, ForrestPerkins, is pleased to announce the completion of their $40 million renovation to the The Westin St. Francis hotel. Located in the heart of San Francisco’s Union Square – the city’s vibrant core – the hotel is nestled within an iconic landmark building featuring 613 guestrooms and suites. Remaining true to the beauty and architecture of this stylish 1904 destination, ForrestPerkins took a residential design approach to the project – curating a story to reflect the hotel’s elegant past, while positioning it to retain its renowned status for decades to come. In addition to renovating and enhancing the existing rooms in the historic building, the design team transformed areas formerly utilized as offices and storage into six new guest rooms, thus adding capacity and revenue for the property. At the turn of the Twentieth Century, when the hotel was first introduced, San Francisco was hailed as “The Paris of the West” for its architectural scale and beauty. 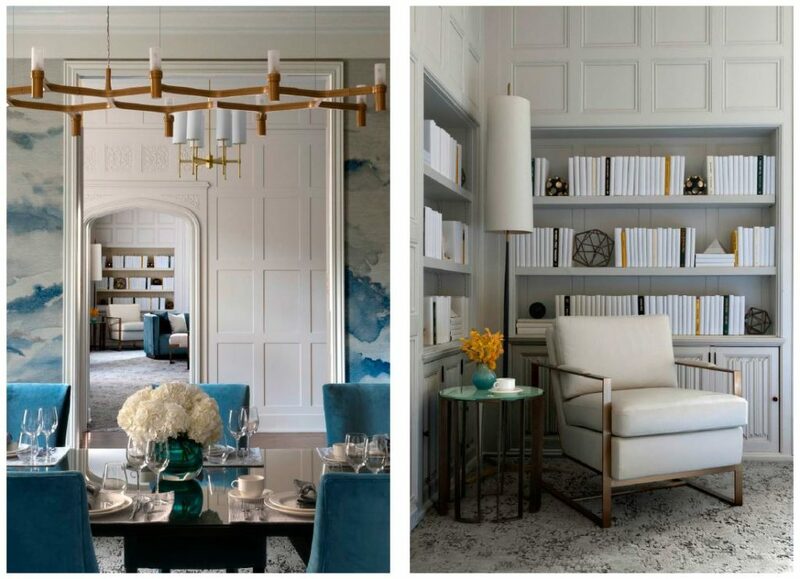 Speaking to that heritage, the guestroom interior design pairs elegant, classically styled furniture and window treatments with a sophisticated color palette of French grey and Parisian blue, highlighted by golden embellishments. “It was fascinating and challenging to expand many of the bathrooms, bringing them into this century while maintaining the historic nature of the room itself. 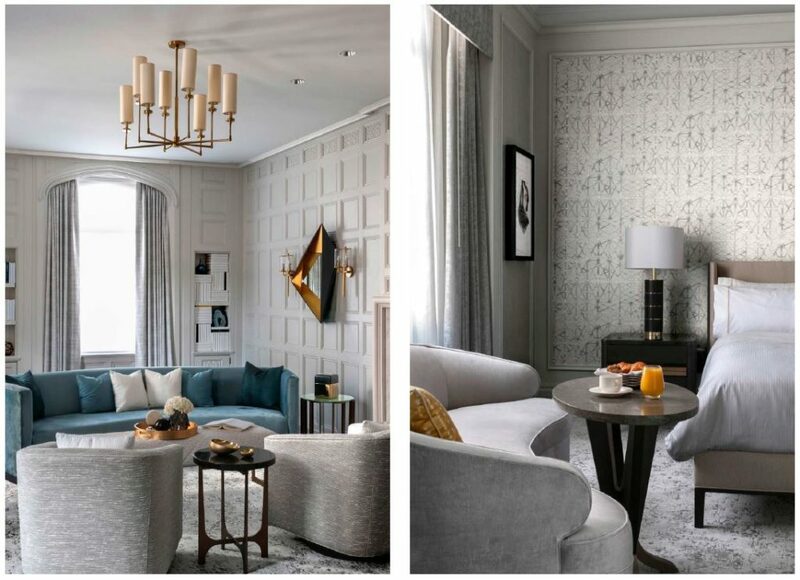 The craftsmen who recreated the various components to perfectly match the existing historic plaster are truly brilliant at their trade”, says Colletta Conner, a project manager and lead interior designer on the project, Associate Principal at ForrrestPerkins’ Dallas office. The corridors feature beautiful LED lighting that meets the California Energy Code without affecting the residential ambiance. The addition of millwork and natural stone portals at strategic locations along the Grand Corridor of each floor creates architectural definition that breaks the long expanse into more intimate zones as in a luxury residential building. 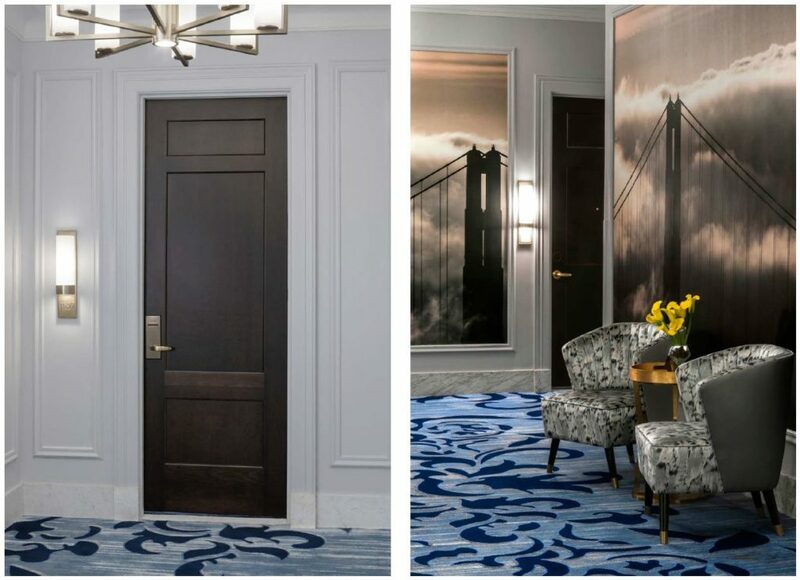 Framed art pieces, including a dramatic mural depicting the golden gate bridge at sunset engulfed in clouds, further punctuate the corridors and add to the residential character. Included in the design are four Luxury Suites providing 11 splendid bedrooms, each with a different configuration. The renovation included the addition of three full bathrooms and two powder rooms, adding to the functionality of each suite. 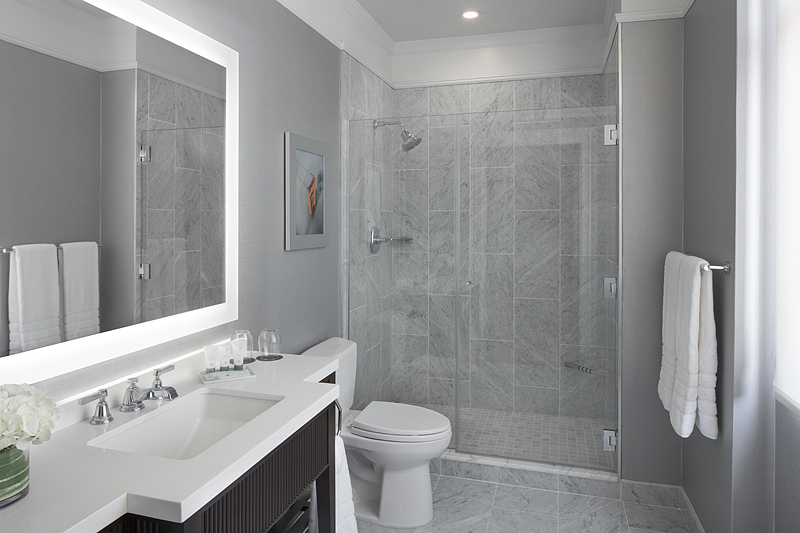 Beautiful Calcutta and Grigio Verona marbles are used in each, creating a luxurious bath experience as befits the hotel’s stature. Careful attention to historic detail was paid to preserve original moldings and cornices. The modern and fresh nature of the furnishings and finishes in each suite results in a pleasing juxtaposition with the historic architecture. “It has been a distinct privilege and honor to guide the renovation of one of San Francisco’s most cherished landmarks. This beautiful hotel’s new look celebrates her illustrious past and announces her relevance for her second century. We appreciate the opportunity to bring new life to the Westin St. Francis”, concludes Deborah Lloyd Forrest, President of ForrestPerkins.